Robert Campbell Jnr’s father was a boomerang-maker, and would take off with his young son into the bush around the Macleay River searching for suitable cuts of wattle or mangrove for his work. Together they would then decorate the boomerangs with birds and animals. After leaving Burnt Bridge Mission school at 14, Campbell continued to develop his artistic skills by painting local landscapes in gloss paint on cardboard, and selling them to passing tourists. After labouring at menial jobs away from home, Campbell returned to Kempsey and to painting. Taking up canvas and artist boards for the first time, he developed his idiosyncratic approach: a bold, cartoon style in vivid colours, with all the cover-the-earth energy of a Keith Haring. Fusing sophisticated compositions with a raw, naive vision, Robert Campbell Jnr began to record the stories that he remembered from his childhood, as well as the brutal history of racism and colonialism, and the apartheid of twentieth-century Australia. Map of the massacres of blacks on the Macleay Valley , 1990, depicts the past rapes, murders and poisoning of water-holes. Campbell also painted Arcadian scenes of camp life, of food gathering and of Paradise lost, as in Sunset over the Macleay overlooking Euroka , 1990. 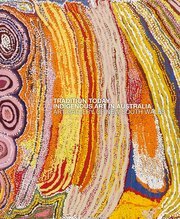 In all his works, the picture surface is animated by vivid decoration that recalls possum-skin cloaks and the fine engravings on Aboriginal shields, clubs and boomerangs of south-eastern Australia. The oesophagus-like red tie that appears on many of Campbell’s protagonists expresses ongoing relation-ships with the natural and supernatural worlds, and recalls the X-ray technique of Arnhem Land rock painting. Many works form sequential narratives, such as Campbell’s commemoration of the Aboriginal Tent Embassy set up in 1972 on the grounds of (then) Parliament House in Canberra. Campbell’s pictures always exude confidence and frankness, and he managed to reconcile his personal experience with public expression, despite the former typically being a realm of inarticulate pain and the latter being in danger of sloganeering. Campbell’s bold imagery is a deliberate, incisive affront, but one that is also full of compassion and irrepressible humour. There is some-thing essential in his work: a feeling of jubilation in our humanity, which might seem strange arising out of such an oppressive social order. Very few practitioners in world art encompass joy and suffering so effortlessly as Robert Campbell Jnr.